Please don't mistake this System as "Just another toothbrush." It is a much-needed treatment for gingivitis and periodontal disease. 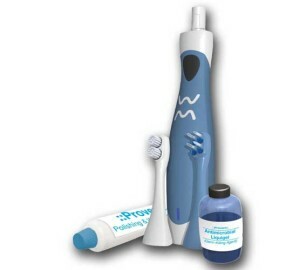 It enables users to achieve and maintain exceptional oral health that lasts a lifetime. The results of this System are life changing. According to the research report U.S. Oral Health Care Products Market Forecast to 2017 in the New Market Research Report at ReportsnReports.com, "In the oral care market, health concerns are the number one driver of sales, but other factors come into play as well. Consumers are also looking to whiten their teeth and freshen their breath. If a product can do all three, all the better: “Products that provide multiple benefits are proving to be the most attractive to consumers..." The report continues: "Marketers looking to spur sales in several categories have also had success with "product suites," groupings of products presented as a complete oral care package, which encourage consumers to remain brand-loyal." 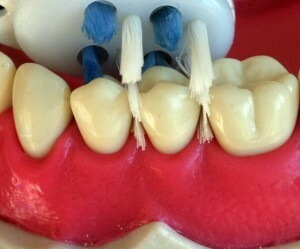 - Interchangeable antimicrobial brush head for disrupting and fragmenting biofilm while carrying chemotherapeutic agents into sulcular and interproximal areas. This suite meets the needs of those who aspire to better health and who are motivated to buy products that enable them to succeed in keeping their mouths healthy and their breath fresh. It meets the needs of those who are motivated to buy products that make it easy to keep their teeth white and more attractive. This complete suite of products meets the needs of people who are motivated to buy for both reasons.